Emergency Dentists USA has created a selection of dental clinics that provide you with appointments on the day that you call. A quick phone call to the Emergency Dentist USA hotline links you with a knowledgeable operator who can help you make the right choice when it comes to an emergency dentist in Torrance, California. Whether you have knocked out your tooth, lost a filling, or are suffering with a horrible toothache an emergency dentist here in Torrance can help you and get you back to enjoying your stay in this lovely city. Emergency Dentists USA has the best dentists available no matter when your dental emergency strikes with dentists that have late hours and walk-in options to meet all of your needs. There are several options when it comes to finding an emergency dental clinic to handle your dental emergency when you are staying in Torrance, California. Torrance offers many after hour dental clinics along with a walk-in dental clinic. Walk-in dental clinics allow you to come in without an appointment and they do their best to meet your needs in a timely manner. Dr. Joe Dentistry is there to meet every one of your dental emergency needs no matter what time of day it should happen. They are open 9 apm to 9 pm on Wednesdays, and until 8 pm on Monday and Tuesday. Thursday the office is open until 6 pm. Sundays the office is open until 4 pm. After hour dentists have hours designed to help you even later in the day than a regular dental clinic. Total Family Dental Group is a friendly office that listens to you and stays open late Monday through Friday until 6 pm. They are also open on Saturday until 1 pm. Modern Dental is a family-friendly office that stays open until 7 pm on Tuesday and Wednesday and 6 pm on Monday. On Thursday and Friday they are open until 4 pm. Ganji Dental is open to serve you Monday through Friday until 5 pm and Saturday until 3 pm. Emergency Dentists USA has compiled a list of walk-in dental clinics and after hour emergency dental clinics in Torrance, California to help you should you have a dental emergency during your stay. The right dentist is on the list to meet your needs and find you an appointment to suit your schedule. The emergency dentists in Torrance are there to provide you with all the regular dental services. They are there to provide you with quality care during your dental emergency. There are plenty of dentists to choose from in the list below. Description When traveling through the Torrance, there are many ways in which a dental emergency could quickly present itself. If you’re having a dental emergency it’s important to get help fast. Call our hotline and we’ll help you find a dentist near you fast! Description: Dr Joe Dentistry is committed to making sure you have a personalized, comfortable, and affordable dental experience. 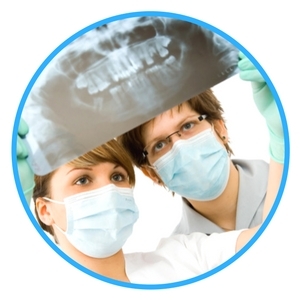 They have experience in all aspects of modern dentistry and offer comprehensive dental care. The office welcomes walk-ins and emergencies. They have late hours Monday through Thursday and even offer services on Sunday. They accept a number of different insurance plans along with cash and credit options. Description: Total Family Dental Group offers comprehensive dental services and have an emphasis on patient education and preventative care. The group is highly trained and offer a wealth of services to help you achieve and maintain a healthy smile. They actually take the time to listen and understand your dental concerns and work to make sure your expectations are met. Description: Modern Dental is there to provide you with quality dental care. They offer advanced technology in cosmetic dentistry and make your well-being their number one priority. They implement all that they can to make sure your visit is a comfortable one. They are a family-oriented dental office and do their best to accept most insurance plans. They also accept all major credit cards, ATM cards, cash, and personal checks. Description: Ganji Dental prides themselves in treating you like family. They offer free digital x-rays and exams for all new patients. Their dentists provide you with the highest standard of dentistry in the most honest and friendly manner possible. They offer a wide range of services to meet all of your needs in perfecting your smile. The friendly staff is there to help you Monday through Saturday. Preparing for your visit to an emergency dental clinic is much the same as preparing for a visit to your regular dentist. Talk with the staff on what to expect and what is required while making your appointment. Bring your insurance and health records with you to your appointment if at all possible. Arrive a minimum of 15 minutes ahead of your appointment to get any necessary paperwork completed. This also gives you time to ask any questions that you might have. Talk with the dental staff on what payments are accepted at their office. Most accept cash, credit, and many types of insurance as payment. Make certain that your insurance is accepted by the dentist prior to confirming your appointment. Let the dentist know if you have any allergies before your appointment. Take with you a list of any medication or supplements that you are currently taking. If you have dental anxiety, let the staff now before your appointment. There are things they can do to ease your fears and make you more comfortable. Torrance, California is a gorgeous beach city that can brag that they are one of the safest cities in Los Angeles. The city has a moderate year round climate with warm temperatures and low humidity. Torrance is a coastal community that has 1.5 miles of beaches on the Pacific Ocean. The motto for the city is “A Balanced City!”. The city has 30 Torrance City Parks that have things like a skate park, roller-hockey rink, wetlands habitat, picnic areas, jogging trails, and so much more. With all there is to see and do in this lovely city, you don’t want to be slowed down by a toothache when it can be taken care of so efficiently by a wonderful Torrance emergency dentist. A dental emergency is the last thing you want to be worrying about when you are staying in Torrance. Emergency Dentists USA has compiled a list of Torrance emergency dentists to help you during your dental emergency no matter what your issue might be. While there are many options when it comes to emergency dental care, if you are unable to get to them in time, there are Torrance hospitals available to help you during your crisis. They are there to help you with your emergency no matter the time of day. Should you run into an emergency that requires a trip to the emergency room, there are a couple of good hospitals located close by. 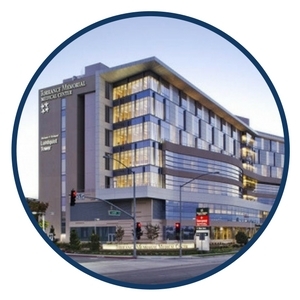 The Torrance Memorial Medical Center has good reviews and is open 24 hours a day, seven days a week. The Providence LIttle Company of Mary Medical Center has good reviews and they are open 24 hours a day, seven days a week. If you don’t know where to go and your have an emergency, you can always call 911 and they will get you the help that you need. There are a number of 24-hour dental emergencies that can strike during your trip to Torrance, California. The emergencies should be treated as quickly as possible as leaving them can lead to complications. 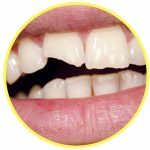 A few of the most common 24-hour dental emergencies that emergency dentists see frequently, including things such as toothaches, lost crowns, broken teeth, loose braces, and abscesses. The dentists are trained to handle these emergencies in a timely and efficient manner to get you back to enjoying your day and not worrying about your tooth. Emergency Dentists USA has done the work to find you just the right dentists to help you quickly. An abscess is an infection that, if left untreated, can spread to other parts of the body. 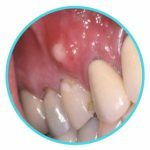 The abscess is an infection that happens around the root of a tooth or in between the teeth or gums. It may look like a swelling or a pimple on the gum and it usually is a painful condition. When it happens, you need to seek treatment with your Torrance emergency dentist right away. Until you can get in to see them, you can ease the pain and draw the infection to the surface by rinsing your mouth with a mild salt water solution several times each day. 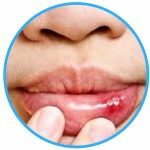 A soft tissue injury is any injury to your cheeks, gums, tongue, or lips. The injury could result in bleeding that must be controlled. To control the bleeding, you should rinse your mouth with a mild salt water solution. Apply a piece of moistened gauze to the bleeding area. Hold it there for at least 15 minutes or until the bleeding stops. Apply a cold compress to the outside of the mouth where the affected area is for between 5 and 10 minutes to ease pain and swelling. If the bleeding doesn’t stop, go see your dentist right away. If you can’t get in quickly enough, go directly to the nearest emergency room. 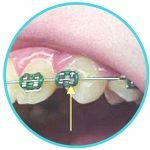 Broken braces can lead to damage to your teeth or soft tissues if the wire sticks out and is poking at your mouth or teeth. You can work the wire into a better position using the eraser end of a pencil to push the wire into a better position. If you are unable to reposition the wire, you can try to cover the end of it with a bit of orthodontic wax or a cotton ball. Do not cut the wire as you could end up swallowing or inhaling it into your lungs. Call the Torrance emergency dentist to get an appointment as soon as possible. A chipped or broken tooth can make all the fun stop fast. It is a frightening experiencing. First thing you should do is save any pieces of the tooth that you can. Then rinse your mouth using warm water. If there is any bleeding, you can apply a piece of gauze to the area for 10 minutes or until the bleeding stops. A cold compress applied to the outside of the mouth near where the broken tooth is can help with swelling and pain. 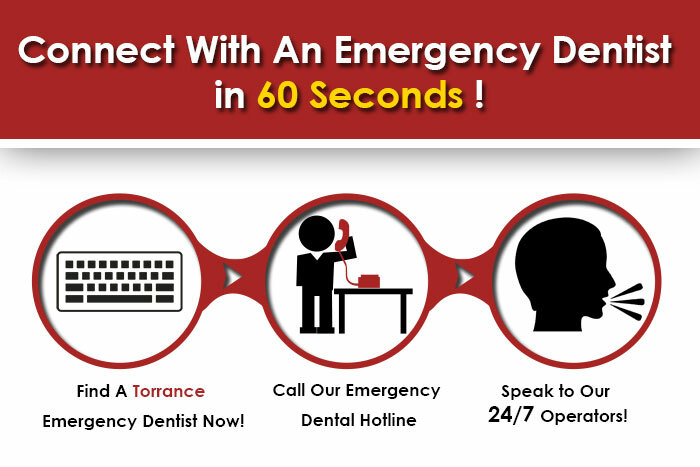 Call your Torrance emergency dentist to get an appointment as soon as possible. An emergency tooth extraction might be necessary due to an infection or a traumatic injury to a tooth that can not be fixed. The dentist always wants to find a way to save your tooth, but if they can not, the tooth must be removed to prevent further complications. They do this by first examining the tooth and x-raying it. After that, they will numb the tooth using an anesthetic. Once the tooth is completely numb, the dentist will remove it. The extraction site is then covered with a piece of gauze to control the bleeding and allow a blood clot to form. Once the clot has formed and the bleeding has stopped, the gauze can be removed, which usually takes about 30 minutes. Do not try to eat until your mouth is completely free of being numb as you could bite a hole in your tongue or cheek. For the next 24 hours, you should not eat any hard food, drink alcohol, drink from a straw, smoke, or engage in vigorous exercise. A soft diet is best for the next couple of days. An increase in pain, bleeding, a fever, or vomiting means you should contact your Torrance emergency dentist to seek care. An emergency dentist is there to treat any dental emergency that you have. They are trained in all there is about your mouth and teeth and are the best choice should you have a dental emergency. The emergency room is there to help you should you not be able to get ahold of your Torrance emergency dentist and need treatment. The emergency room is also there should your dental emergency be a result from an accident or injury that could have damaged other parts of your body, which might complicate your dental care. A head injury should always be x-rayed and treated in an emergency room to be certain that you do not have other issues going on. Plaque is a sticky film that is on your teeth that is full of bacteria. The film must be removed by the dentist so that you don’t end up with gum disease. An electric toothbrush is not better than a manual toothbrush. They both do the same job if they are used properly. Bad breath can be caused by a few different things. Bad Breath can be caused by the food you eat, poor dental care, infection, or the medication you are taking. If it has been a long time since you visited the dentist, make an appointment right away. They will not judge you, they just want to make sure you teeth and mouth are properly taken care of. Now that I’m pregnant, my gums are more sensitive and bleed more easily. Why? What happens if I have a dental problem when I am pregnant? You gums are more sensitive and bleed more when you are pregnant due to a change in your hormones. If you have a dental problem when you are pregnant, get ahold of the dentist and let them know your problem and that you are pregnant. Torrance, California has the motto that they are “A Balanced City!” and is one of the largest cities in Los Angeles. This city, while not huge, is a large city and is one of the safest in Los Angeles. With all the parks and beaches, there is something for everyone to do and enjoy. A dental emergency should not slow down your fun, and thankfully, there are quality emergency dentists there to help you get back to feeling great in a fast manner. They work to treat you efficiently and quickly so that you don’t feel like you have to wait, which could cause you issues in the future. Walk-in dental clinics do their best to meet your needs in a timely manner without an appointment. Dr. Joe Dentistry is there to meet every one of your dental emergency needs no matter what time of day it should happen. They are open 9 apm to 9 pm on Wednesdays, and until 8 pm on Monday and Tuesday. Thursday, the office is open until 6 pm. Sundays, the office is open until 4 pm. After hour dentists have hours designed to help you even later in the day. Total Family Dental Group is a friendly office that listens to you and stays open late Monday through Friday until 6 pm. They are also open on Saturday until 1 pm. Modern Dental is a family-friendly office that stays open until 7 pm on Tuesday and Wednesday and 6 pm on Monday. On Thursday and Friday, they are open until 4 pm. Ganji Dental is open to serve you Monday through Friday until 5 pm and Saturday until 3 pm. If your emergency can’t be met by the emergency dentist as quickly as you deem fit, you can go into one of the emergency rooms to seek treatment. The Torrance Memorial Medical Center has good reviews and is open 24 hours a day, 7 days a week. The Providence LIttle Company of Mary Medical Center has good reviews and they are open 24 hours a day, 7 days a week. If you don’t know where to go and your have an emergency, you can always call 911 and they will get you the help that you need. 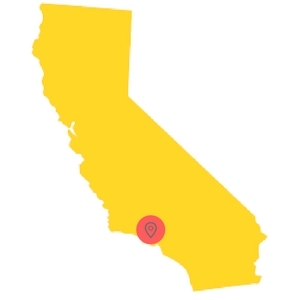 Always check with the local dental society to ensure that the dentist that you choose is certified and licensed in California. Use the American Dental Association website to check licensing information. You can also search for certification and licensing on the California Dental Association website located here. The websites offers information regarding Torrance emergency dental clinics and is designed to help you make an educated decision. If you are having a dental emergency and are unable to reach an Torrance emergency dentist, call 911 or proceed to the hospital emergency room for medical treatment. The Emergency Dentists USA website is designed to be used for informational purposes only and should never be used to replace the advice of a medical professional. Looking for a 24 hour dentist in Lakewood California?